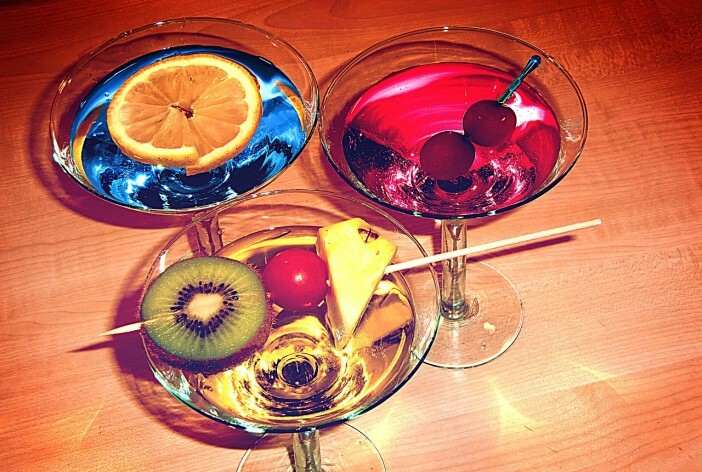 Whether you like your drinks sweet, savoury, or palpably alcoholic, there is a cocktail to suit you. Versions of the cocktail have been around for centuries, and many myths and legends surround the creation of the most famous cocktail menu entries. The first documentation of the cocktail can be found in the 20 March 1798 edition of London’s The Morning Post and Gazetteer newspaper, and the exciting concoctions have been popular ever since. Come with us on a trip around the world of cocktails to learn a little more about where your favourite might have come from. Little Known Facts: No one really knows who invented the Margarita, although there are several stories about people laying claim to this delicious, zingy cocktail. The earliest mention of a tequila cocktail goes to G. F. Steele in ‘My Cocktail Book’, published in 1930. In 1937, William J. Tarling mentioned a drink called a Picador in his ‘Café Royal Cocktail Book’, which contains tequila, Cointreau and lime juice. American Socialite Margaret ‘Margarita’ Sames claimed she invented the Margarita cocktail at one of her wild parties in 1948 at her Acapulco holiday home. However, by 1945 Jose Cuervo was already running ad campaigns featuring the Margarita, so this story may not be that credible. All we know is, sometime between tequila being mixed with Cointreau and lime in the 1930s and 1945 the delicious sour-sweet tequila cocktail had been christened the Margarita. Little Known Facts: As with many cocktails, there are rival stories about who invented this toothsome tropical cocktail. Victor Bergeron, aka ‘Trader Vic’, claims to have created the first Mai Tai in 1944, in honour of some friends who were visiting from Tahiti. Upon serving his new concoction to his friends, they apparently cried out ‘Maitai roa!’, which means ‘very good’ – and so the Mai Tai was born. Rivalling this claim is Donn Beach, founding father of tiki bars, who claims to have invented the first Mai Tai in 1933 for the opening of his Hollywood restaurant. Whoever the creator was, both men had a leading role in the drink’s huge popularity by selling them prolifically at their successful restaurant chains. Little Known Facts: The Mojito is often credited with being the world’s oldest cocktail, and was originally supped by sailors in the 16th century. Legend has it the drink was created to cover up the hard taste of early forms of rum, and called the ‘El Draque’ in honour of the Elizabethan explorer Sir Francis Drake. The modern name likely came from a Cuban sauce called mojo, which is made from garlic, olive oil, and citrus juice, and is a reference to the drink’s main ingredient of lime. Far from its ‘piratey’ roots, it is now popularly enjoyed as a refreshing drink on hot summer days. Little Known Facts: Whilst drinks that mixed rum and pineapple juice existed in the 19th century, the modern Pina Colada wasn’t born until after the invention of coconut cream in 1948. Long-serving bartender Ramon ‘Monchito’ Marrero Perez claims to have created the drink for the Caribe Hilton Hotel, Puerto Rico in 1954 after being asked to create a drink that captured the flavours of the island. However, Spaniard Ricardo Garcia, who also worked at the hotel, claims that he was, in fact, the first one to serve the drink, as an improvisation during the coconut-cutters union strike. Whoever it was, legend has it that Joan Crawford tried the hotel’s delicious concoction and declared it ‘better than slapping Bette Davis in the face’, so it was clearly a success. Little Known Facts: Thought to have originated in Sao Paulo, this bold cocktail is the national drink of Brazil. No one is really sure how it came into being, although some believe that it was prepared as a medicine in WWI to ease the effects of Spanish Flu. The original recipe included cachaça, green lemon, honey and garlic to deliver vitamin C to the system quickly. At some point, the honey and garlic were replaced with sugar and ice to create a rejuvenating drink rather than a healing remedy. Little Known Facts: First created sometime around the turn of the 20th century, the Daiquiri was likely named after the town of the same name in the Sierra Maestra Mountains. One story suggests that Jennings Stockton Cox, having moved to Cuba to capitalise on the rich iron mines, was entertaining guests and ran out of gin. As he had built up a generous stock of local rum, he served that instead, but mixed it with lime juice and sugar so as not to expose his refined guests to straight rum. The resulting mixed drink was named after the nearest town. Little Known Facts: Perhaps more commonly known to me and you as a rum and coke, this classic combination is older than you might think. Legend has it that it was created when the American forces brought a supply of Coca-Cola with them when they arrived to fight the war for Cuban independence. In 1900, whilst celebrating victory at an American Bar in Havana, a US army captain ordered Bacardi with Coke and lime, toasting ‘Por Cuba Libre!’ when other soldiers followed suit. No one is really sure if this actually happened, but Bacardi famously immortalised the story in an advertising campaign, forever branding the Cuba Libre as the ‘original cocktail of freedom’. Little Known Facts: Often called the ‘Drinking Man’s Cocktail’, this potent drink is thought to have been created at the Manhattan Club, New York, in the early 1870s. Apparently, Lady Randolph Churchill was hosting a banquet in honour of presidential candidate Samuel J. Tilden and had the drink created for the occasion. The success of the banquet made the cocktail fashionable in powerful circles, causing people to request ‘the Manhattan cocktail’ they had enjoyed at the club. If you want to taste some of these delicious cocktails in the country where they originated, why not book one of Cruise1st Australia’s fantastic cruise deals that stop there? Browse the full range online, or call our friendly team on 1300 857 345.